It’s difficult to think about a season-to-season letdown in the same vein as what most fans experienced between the first and second season of HBO’s True Detective. Sure, some people didn’t like Fargo‘s second season as much as its first, but on the whole, everyone seemed to be on board for what Noah Hawley was doing. The same might be said of Hannibal, Orange is the New Black, or even Daredevil, but all of those were continuing a larger narrative rather than exploring new vistas. True Detective came into Season 2 with immense creative control and the product suggested a severely dumbed-down variation on the Chinatown narrative at best and an ode to an outdated, woefully self-serious type of masculinity at worst. The failure of the second season to grip viewers was made all the more infuriating in that creator Nic Pizzolatto and his creative team wasted a great cast, including Colin Farrell, Rachel McAdams, and Vince Vaughn, on this tripe. For what it’s worth, however, Pizzolatto and HBO seemed to come back with some welcome fresh blood when Season 3 of the anthology series was announced, beginning with the addition of David Milch, one of the lead creatives on HBO’s Deadwood. 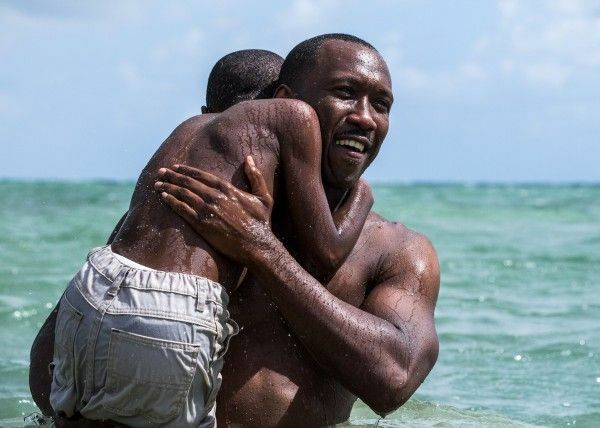 And now comes word via The Tracking Board that Mahershala Ali is in final talks to join the new season, presumably in the lead role of whatever detective Pizzolatto and Milch dream up. Word as of yesterday was that Ali had not officially signed on but that he was very close to a deal with the network. This would be an immense get for HBO. Ali is the kind of actor whose very presence renders a movie immediately more watchable and engaging. When he’s in great movies, such as Moonlight, Hidden Figures, or The Curious Case of Benjamin Button, he matches the sublime pitch of his directors, writers, and co-stars. When he’s in mediocrities, such as Free State of Jones, The Place Beyond the Pines, and Kicks, he elevates his scenes and brings out the best in his colleagues, even for just a few minutes. And on TV, he’s been a welcome, galvanizing addition to Luke Cage, House of Cards, and HBO’s exquisite Treme. In other words, Ali’s presence in True Detective would be a coup for HBO and the show’s creative team, even if the series proves to be unsalvageable in the aftermath of a uniquely insufferable second season.